Translation is the necessity for today’s world and we are providing the Portuguese translation in its best possible way. We employ only the very best Portuguese translators the world has to offer. They are meticulously screened during our rigorous selection process so that only specialists having the best qualification, industry experience and subject expertise handle your translations. We only work with dependable and experienced translators who consistently display superior performance and quality results. We ensure that the Portuguese translators assigned to your project have the appropriate expertise required to provide you with a high quality, culturally sensitive translation in any field that you desire. 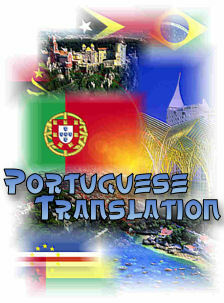 Portuguese Translation Fields: Document Translation ( IT Manual, Software Manual, Multilingual User Manual, Technical Script and Manual, Training Material, Medical Documents, Engineering Documents, Marketing & Advertising, Legal Documents, Literatures, Official Papers, Tourism, Sports), Website Translation, Software Localization, Multilingual Web Publications, Web Content management and translation, Print Publications. Portuguese (português or língua portuguesa) is a Romance language that originated in what is now Galicia (Spain) and northern Portugal. It is derived from the Latin spoken by the romanized Pre-Roman peoples of the Iberian Peninsula (namely the Gallaeci, the Lusitanians, the Celtici and the Conii) around 2000 years ago. It spread worldwide in the 15th and 16th centuries as Portugal established a colonial and commercial empire (1415–1999) which spanned from Brazil in the Americas to Goa and other parts of India and Macau in China. It was used as the exclusive lingua franca on the island of Sri Lanka for almost 350 years. During that time, many creole languages based on Portuguese also appeared around the world, especially in Africa, Asia, and the Caribbean. Today it is one of the world's major languages, ranked 6th according to number of native speakers (approximately 240 million). It is the language with the largest number of speakers in South America, spoken by all of Brazil's population, excluding a small number of indigenous tribes. This amounts to over 51% of the continent's population even though it is the only Portuguese-speaking nation in the Americas. It is also a major lingua franca in Portugal's former colonial possessions in Africa. It is the official language of ten countries (see the table on the right), also being co-official with Spanish and French in Equatorial Guinea, with Cantonese Chinese in the Chinese special administrative region of Macau, and with Tetum in East Timor. There are sizable communities of Portuguese-speakers in various regions of North America, notably in the United States (New Jersey, New England and south Florida) and in Ontario, Canada. Spanish author Miguel de Cervantes once called Portuguese "the sweet language", while Brazilian writer Olavo Bilac poetically described it as a última flor do Lácio, inculta e bela: "the last flower of Latium, wild and beautiful". Portuguese to English Translation services - Indian Language Translators - Cost effective Portuguese Translation Network - Kolkata Portuguese Translation - Website Localization India - Kolkata Translators - Portuguese Content Writing India - Portuguese Language Professionals Kolkata.